The stage layout and measurements for the 2017 Yorkshire Pole Competition is below. The stage layout and measurements for the 2016 Yorkshire Pole Competition is below. 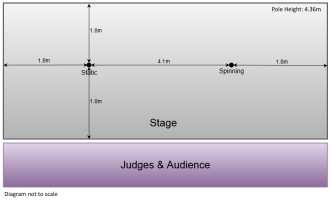 The stage layout and measurements for the 2015 Yorkshire Pole Competition is below. 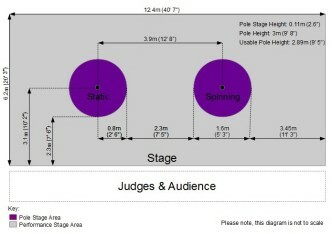 The stage layout and measurements for the 2014 Yorkshire Pole Competition is below.